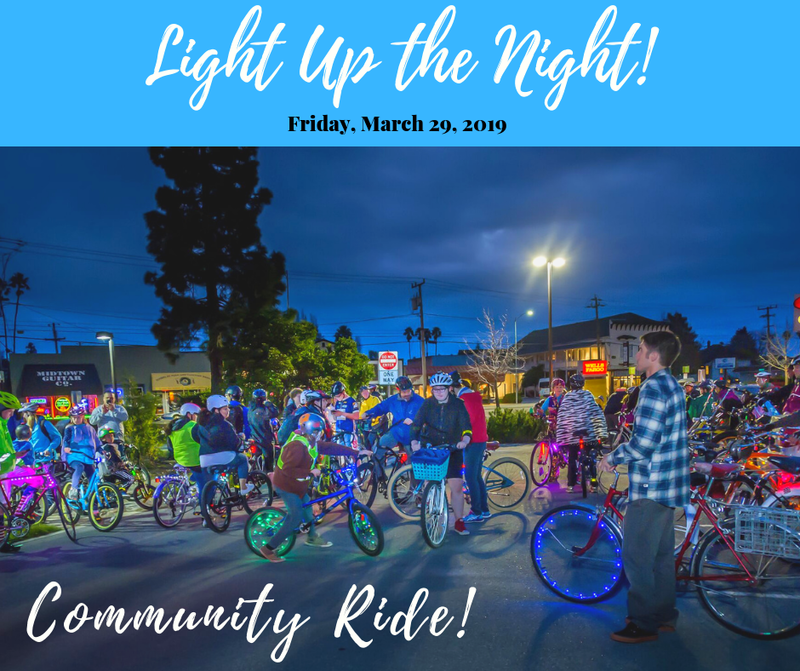 Join Bike Santa Cruz County, Bike Friendly Watsonville, and Watsonville Cyclery for a Light Up the Night community ride, a bike light giveaway, and well-lit community ride on Friday, March 29th at Watsonville Cyclery. Dozens of free lights will be given out on a first-come, first served basis. There will be other activities to make it easy and fun to be visible and safe on a bike at night and during the darker winter months! Activities will include high visibility bike decorating, including making reflective spoke cards, custom helmet stenciling, and a raffle with visibility-related prizes.